The Cathar Castles are actually fortresses which were built by the French king after the Albigensian Crusade. The term “Cathar Castles” is actually used by the industry of tourism. There are numerous spectacular Cathar Castles, all of them situated in the southern part of France, in the vicinity of Carcassonne. The royal citadels are practically five fortresses resisted numerous assaults. These are magnificent castles which are very attractive to visitors. Château d’Aguilar, Château de Puilaurens and Château de Termes are just three of the five fantastic royal citadels. 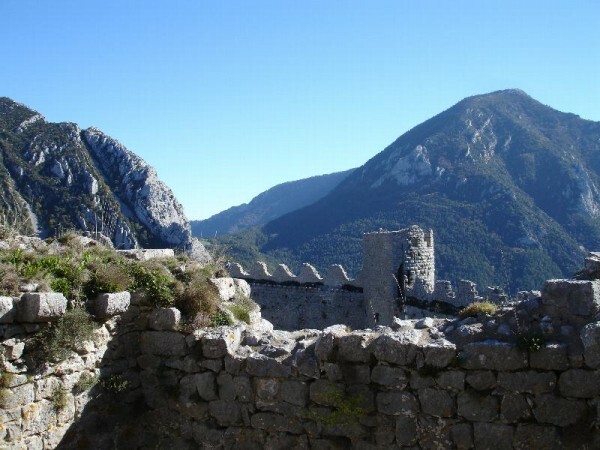 If you would like to find out more about the fantastic Cathar Castles, read the following article. The 12th century, beautiful castle named Château d’Aguilar is considered one of the most spectacular Cathar Castles. 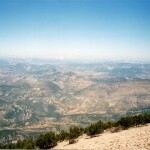 It can be found in the Aude department, more precisely in the Tuchan commune. It served as a fortress for several centuries, having a favorable position. Sitting on top of a hill, the fortress had a strategic location and resisted numerous assalts. Today, the ruined castle is considered a historic monument of French and one of the famous Cathar Castles. It is very attractive among tourists and attracts numerous visitors each year. 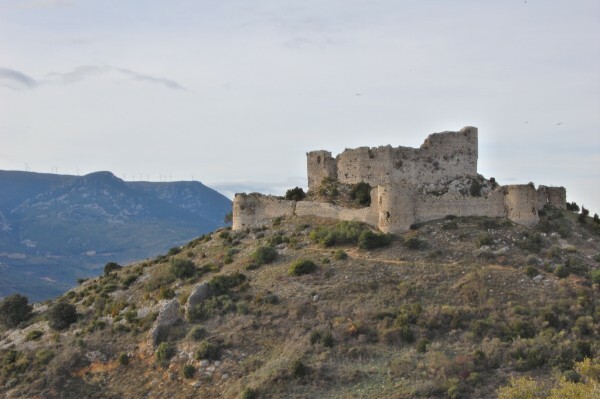 Situated also in the Aude department, this Cathar Castle can be found in Lapradelle-Puilaurens commune. 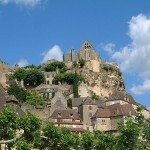 Standing on a rock, it used to serve as a fortress and today is listed as a historic monument of France. It withstood many assaults, being defended in the middle of the 13th century, in 1255. Standing above the Boulzane Valley, the fantastic castle ruins are great attractions of the region. There is a foot path which takes you up to the castle from the commune of Axat. The ruined castle of Termes can be found near the village with the same name. This Cathar Castle fell in 1210, by Simon de Montfort. In the 13th century it was rebuilt, but later, in the 17th century, the castle was demolished. Today, it is also a historic monument of France and a great tourist attraction. The ruins can be visited by tourists, as there is a path that takes you up to the castle from the village of Termes. The Château de Termes provides breathtaking views over the Terminet Gorges. 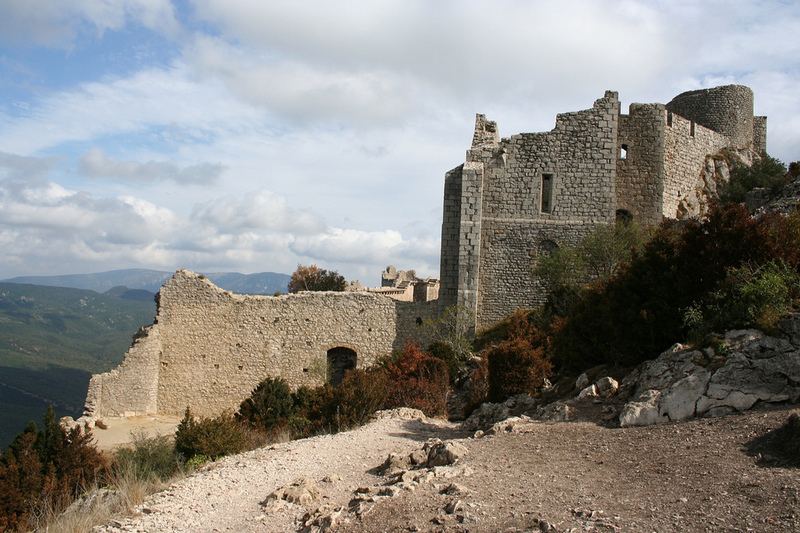 It is a beautiful Cathar Castle located in the Aude department, in the Duilhac-sous-Peyrepertuse commune. It is set on a rock, at a height of about 800 m. The castle was used as a fortress, but lost its importance when the French-Spanish border was moved in 1659. As a result, the castle was abandoned. The Château de Peyrepertuse had been listed as a French historic monument since 1908. Today, it is an attractive Cathar Castle, being visited by numerous tourists each year.